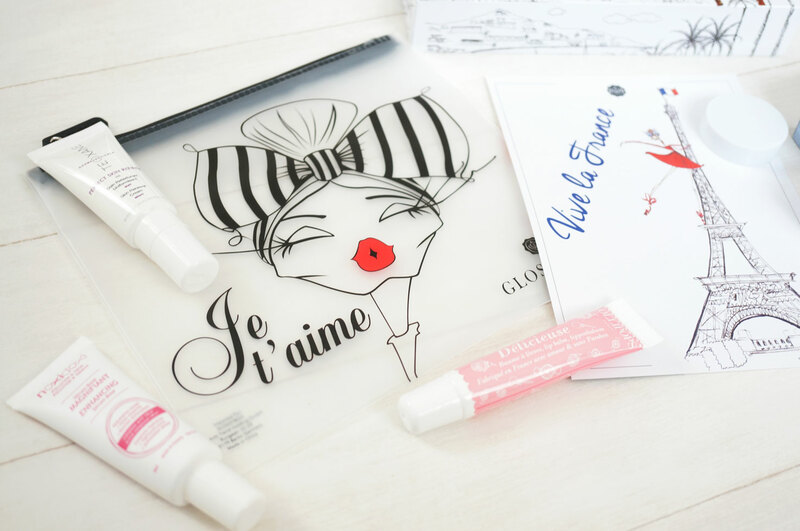 Glossybox July Review and Giveaway! Today’s post is a bit of a special one – rather than my standard monthly Glossybox review, I also have a brand new awesome giveaway for you! 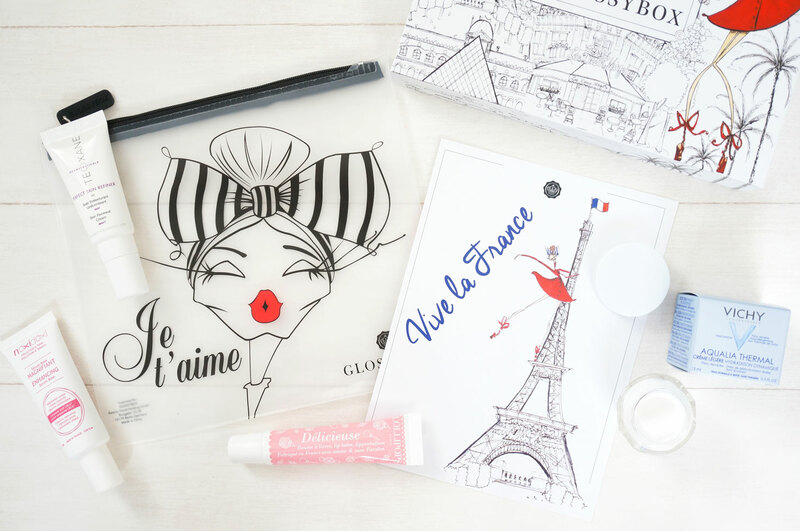 But let’s get to that a bit later… July’s Glossybox is a special Vive La France collector’s edition, inspired by all things French, this box includes four of Glossybox’s favourite French finds as well as a special illustrated outer box. Lollipops Lip Balm Delicieuse – Full size worth £4.15. Teoxane Cosmeceuticals Perfect Skin Refiner – 15ml sample size worth £21.00. Vichy Aqualia Thermal Light Cream – 15ml sample size worth £5.10. Noxidoxi Enhancing Serum Base – 25ml sample size worth £27.88. 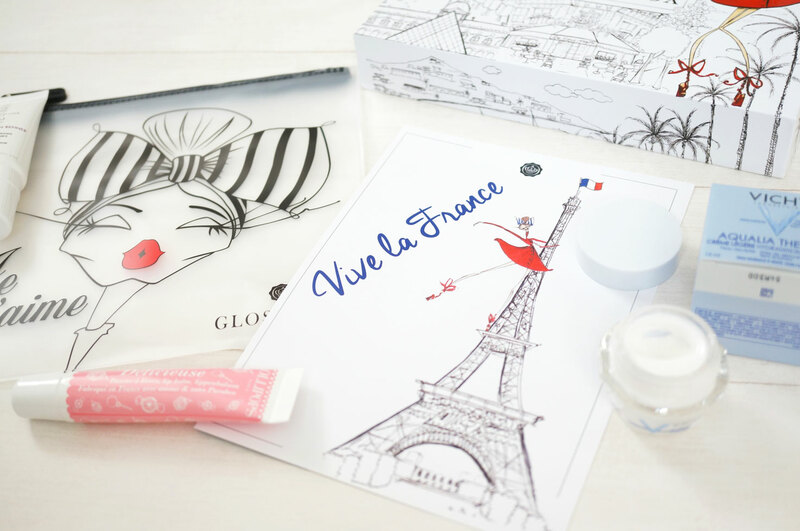 Glossybox Exclusive Travel Pouch – Worth £3.99. Total value of box = £62.12. The Lollipops Lip Balm is a sweet little squeezy-tube style balm with a vanilla scent. The formula is enriched with plant oils, wheat germ, macadamia nut oil, and beeswax, to nourish lips leaving them smooth and supple. I get through lip balms like there’s no tomorrow so this will be going straight in my bag! The Teoxane Cosmeceuticals Perfect Skin Refiner is a product and also a brand I haven’t heard of before. This product is designed to help improve the appearance of ageing and sun-damaged skin, accelerate cell renewal, brighten, smooth and firm the skin. With its powerful formula that contains glycolic and resilient hyaluronic acids, it helps to correct uneven skin tone and reduce the appearance of fine lines and wrinkles, leaving the skin looking brighter and more youthful. Vichy Aqualia Thermal Light Cream – This super light cream literally melts into the skin, it’s non-greasy and non-stick formula helps fortify and soothe the skin giving it 24 hour hydrating care that’s perfect for use on dehydrated and sensitive skin. After intensely hydrating, it leaves skin feeling smoother, refreshed, velvety soft and free from any sensations of tightness. Vichy promises the skin is left more resilient, with increased suppleness and radiance. This sounds like a winner to me! The Noxidoxi Enhancing Serum is another brand and product I don’t recognise. The CRC6 moisturising complex keeps the surface of your skin well-moisturised while at the same time penetrating deep down to hydrate the skin cells. This product offers all-round protection thanks to the combination of an anti-inflammatory agent and an essential antioxidant, helping skin defend itself against the harmful effects of the outside world. What a bunch of awesome sounding products, I can’t wait to try them all out! I think my dry skin will drink up the Vichy Thermal Light Cream! And now for the giveaway! Glossybox have kindly offered to give away a massive 12 month beauty box subscription to one lucky reader! The winner will receive a fantastic Glossybox on their doorstep each month for a whole 12 months, worth an amazing £141.00. To enter all you need to do is enter via Rafflecopter below. Please note this giveaway is open to UK and Ireland entrants only, and as always please feel free to contact me if you have any questions. Good luck! This post is sponsored by Glossybox and contains press samples. What a lovely looking little box – I’ve not had Glossy Box for ages as a feel out of love with them, but some definitely do re-tempt me. Amazing incredible prize, thank you so much for the competition! I used to subscribe to Glossybox before I started cutting down on spending. It’s a great giveaway choice! This is such a wonderful prize, it would make my year! I have been itching to subscribe to Glossybox! Fingers crossed for this and thanks for the chance. A perfect skin refiner sounds like exactly what my tired skin needs! Amazing giveaway! I’ve seen so many reviews about beauty boxes like this and it seems like such a nice idea to get a little treat on your doorstep each month!